With this blind, I tried to create a design that's different from the 'norm' while still keeping it really friendly to all your favorite apps. 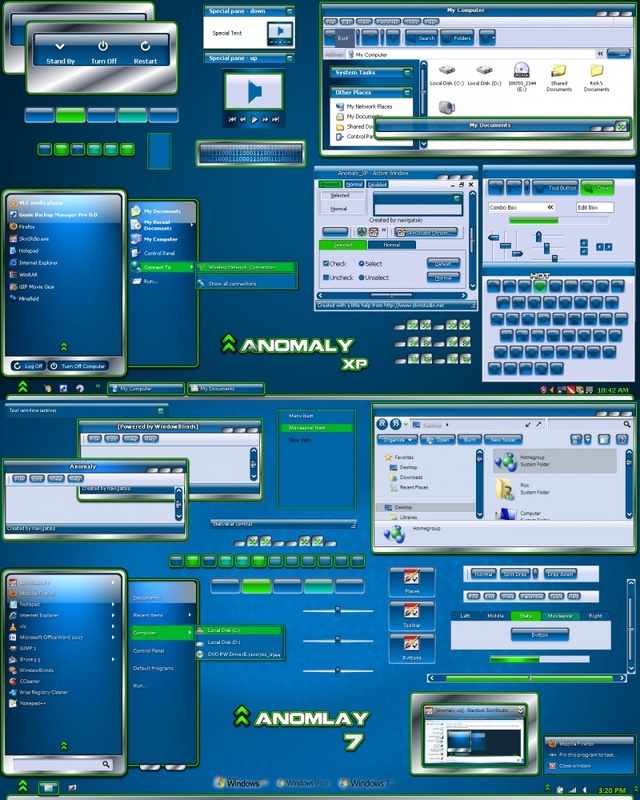 Blue, green and chrome were used for the 'main' interface while I chose a light blue for 'background' sections mostly due to so many apps using default dark texts. Of course, it's built to work with all Windows versions (XP, Vista … read more& 7) and I've used it awhile myself making changes along the way to make sure the finished blind works like it should. It seems to recolor well although I usually caution folks that multiple color blinds don't always properly produce the desired results. A matching 1280x800 wall is included. Hey............. Theres a GREAT shade of BLU!!! Good job and 99 more that I ever made too!! !